A special screening of Dante Betteo’s The Other Barrio, starring Richard Montoya and Veronica Valencia. 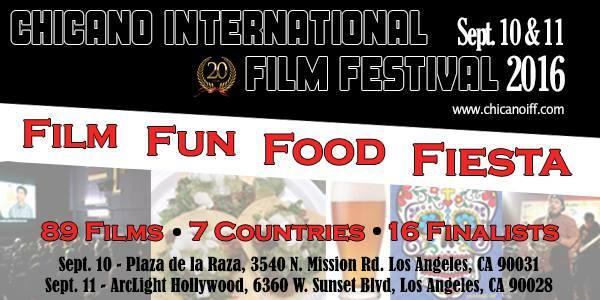 The Chicano International Film Festival (ChIFF) is dedicated to advancing the awareness and understanding of Chicano and Chicana history, culture and expression through the art of film. Since 1995, ChIFF has been celebrating the robust contributions of Chicanas and Chicanos by providing a platform that connects filmmakers and audiences from around the world. ChIFF combines screenings, art installations, panel discussions, performances and community events to cultivate a deeper discussion of the Chicano and Chicana experience. ChIFF is committed to making a difference. By providing mentoring and educational opportunities, we inspire and empower future filmmakers. The heart of ChIFF is building connection with the television, film and digital media industries to create possibility and opportunity for future generations of filmmakers and storytellers.